Patuxent River, Md. (Aug. 2, 2006) - A new era in Naval Aviation begins with the first EA-18G Growler aircraft. The EA-18 Growler is being developed to replace the fleet's current carrier-based EA-6B Prowler. 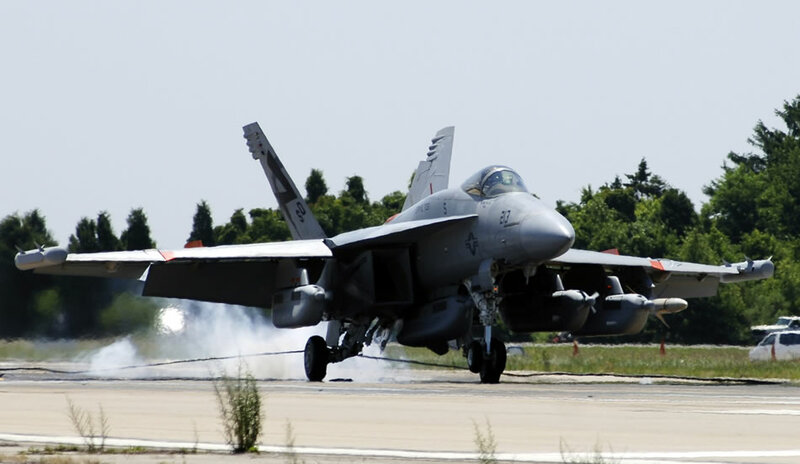 The next-generation electronic attack aircraft, for the U.S. Navy, combines the combat-proven F/A-18 Super Hornet with a state-of-the-art electronic warfare avionics suite. The EA-18G will feature an airborne electronic attack suite based on Northrop Grumman's Improved Capability III system, a radically new jamming and information warfare system. The EA-18G is expected to enter initial operational capability in 2009.